Last week, we presented our Caring for Kids car raffle winners with their brand new 2010 Mercury Milan! 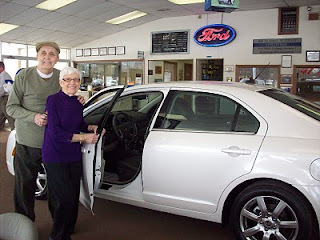 Mike and Mimmi G. of Sykesville, PA custom ordered their new ride to include all the bells and whistles. Sue P. of our Dubois Eat’n Park sold them the winning ticket, and she and her team (including Smiley) were on hand to make the occasion a special one. Generously donated by our partners at the Pittsburgh Lincoln Mercury Dealers Association, the vehicle was raffled as part of our Caring for Kids campaign. 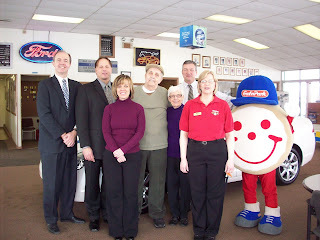 Ticket sales helped us to raise over $334,000 for local children’s hospitals in 2009. Spring Farm Tour – Live with our local farmers!